The Russian Rouble (RUB) is the official currency in Russia and all prices are quoted in roubles. The currency includes 50, 100, 500, 1 000 and 5 000rouble notes and 1, 2, 5 and 10 rouble coins. The Euro and US Dollar are the most readily exchangeable currencies in Moscow and can be exchanged in almost every bureau de change in the city. Look for electronic signs giving the US Dollar ($) and Euro (€) exchange rate. Other major currencies may be accepted for exchange in banks, but it is recommended to bring Euros and US Dollars if possible. Watch out for ‘black market’ currency scams. You can withdraw cash at any ATM but it is recommended to use those of international banks (Citibank , Raiffeisen or UniCredit bank ) or major Russian ones ( Sberbank , Alfa bank , Promsvyazbank). Most cash machines have an English menu. It is also advisable to use ATMs located inside banks, hotels and other secure places. A lot of them are available 24 hours a day, although you may need to swipe your card to enter the bank outside working hours. Setting up a Russian bank account can range from a walk in the park to a total nightmare! But if you are determined and very organised you should be ok. The first thing you need to do is decide on a bank. 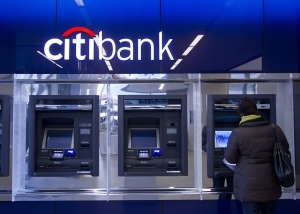 Popular banks with expats include Raiffeisen, Citibank and Sberbank of Russia. Some banks offer good extras if you open a current account with them such as air miles and discounts in some shops and restaurants, so it is worth doing your homework! Once you have decided you will need to prepare the necessary documents – visa, migration card, registration, a copy of your employment contract (not always needed) and your passport. You will need to have the photo page of your passport translated into Russian and notarised. This can be done quickly and inexpensively at one of the many translation offices (byuro perevodov) around Moscow. When you are ready to go and open the account it is worth taking a Russian speaker with you or finding a bank with English speaking staff. While most banks will have dealt with foreigners before it will just make your life a lot easier should there be any queries or issues. Check exactly what documents you will need – this varies between banks. Credit cards are generally off limits to foreign citizens although there are exceptions. Some ATMs charge commission for ANY cash withdrawal. Some debit cards only allow you to withdraw money from ATMs belonging to the bank where the account was opened – check this before you open an account. Check if the bank offers online banking in English – this can be useful for transferring money and paying bills.